Besançon (St. Claude) communal cemetery is on the north side of town just off the road to Voesoul, near the church of St. Claude. 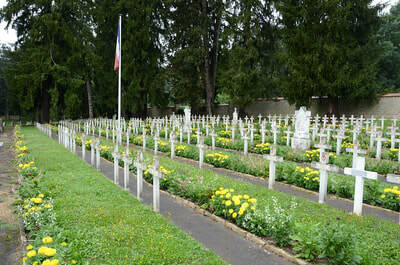 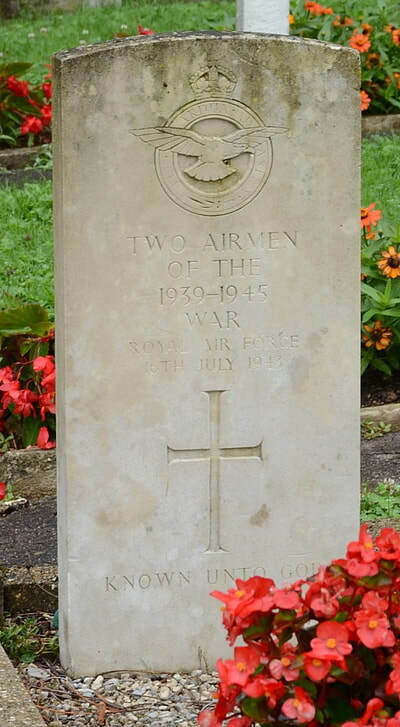 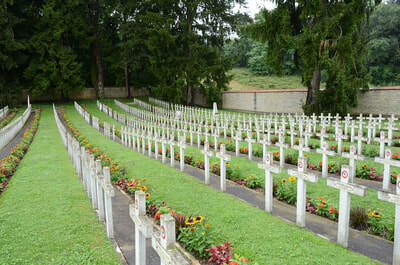 It contains the graves of two unknown British airmen of the Second World War, and one British grave of the 1914-18 War. No. 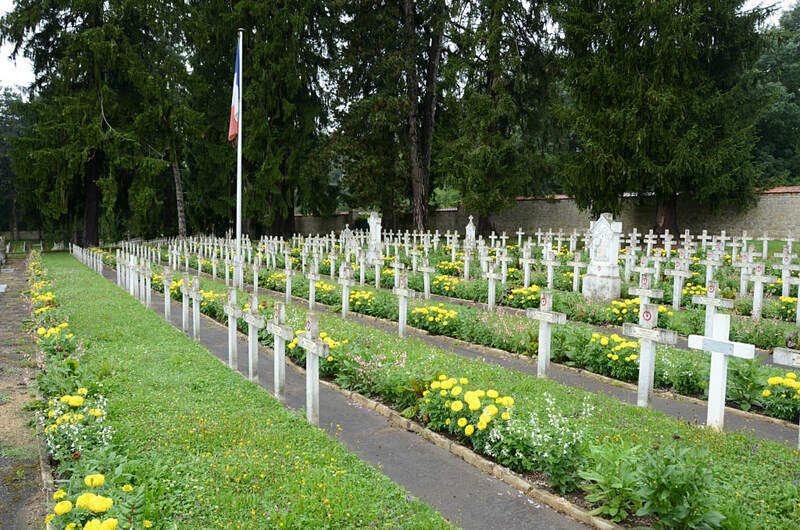 of Identified Casualties: 1. 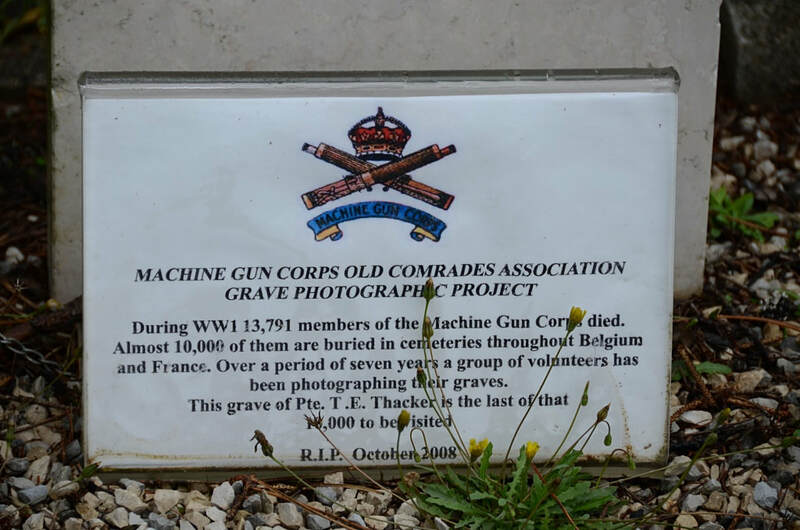 (During World War One 13,791 members of the Machine Gun Corps died. 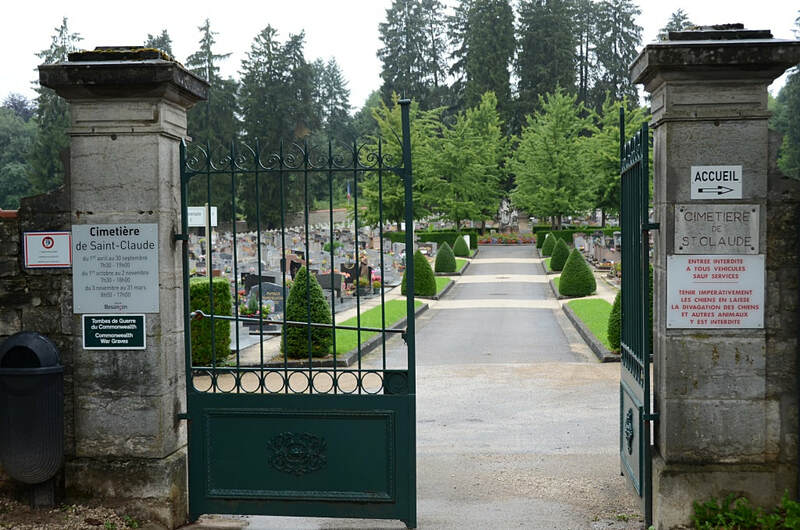 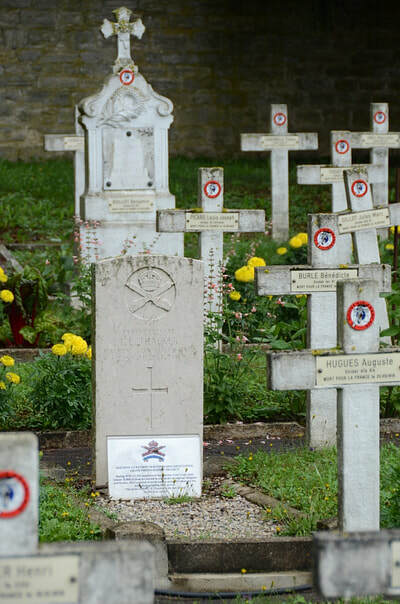 Almost 10,000 are buried in cemeteries throughout Belgium and France. Over a period of seven years a group of volunteers has been photographing their graves. 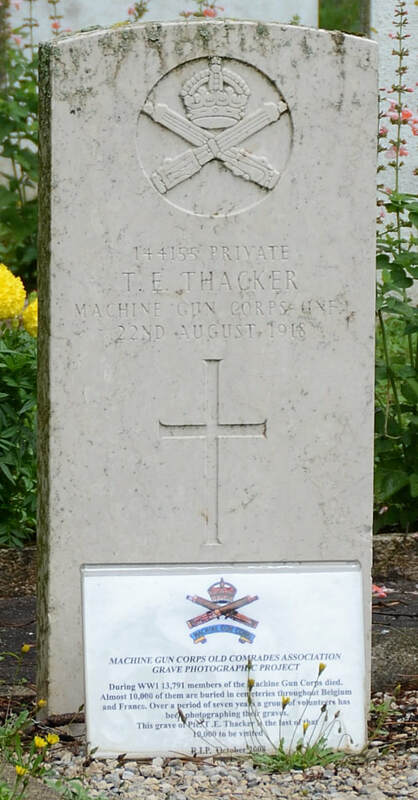 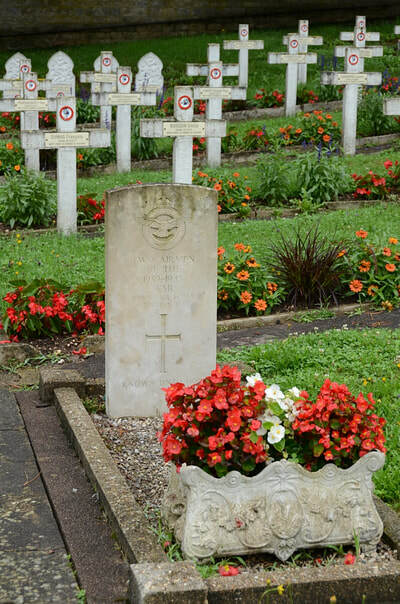 The grave of Private T. E. Thacker is the last of that 10,000 to be visited. 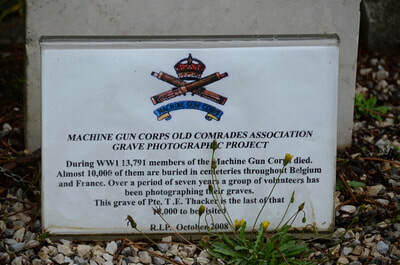 R. I. P October 2008).